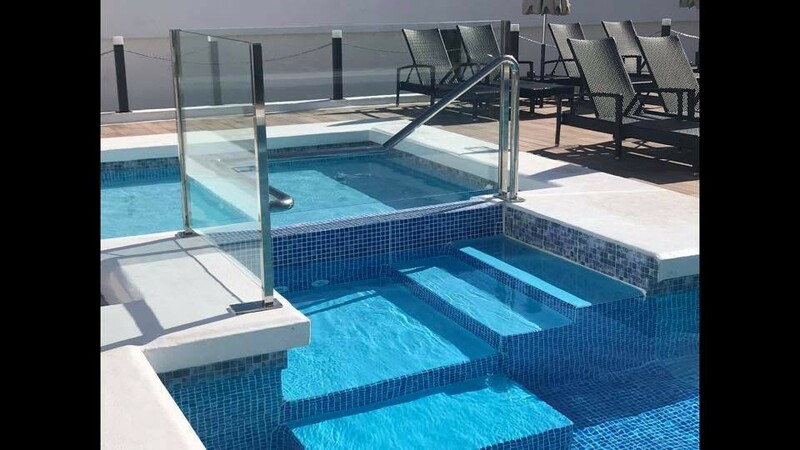 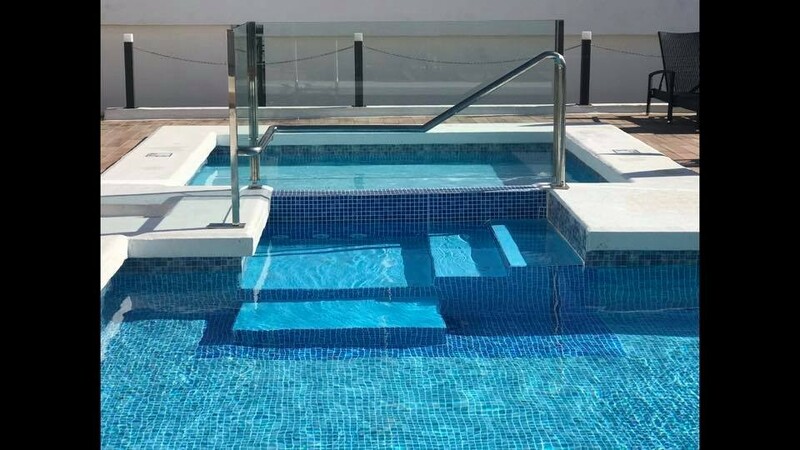 Enjoy the best of both worlds with this small and peaceful resort in Puerto del Carmen just five minutes from the fun of the Strip and the blue-flag beach. 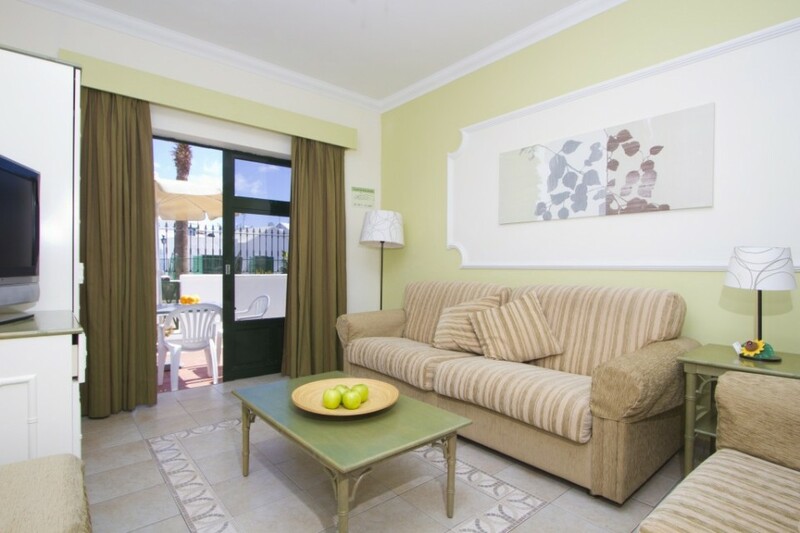 Club Maritima is a small, friendly development in a quiet, residential area close to the beach in Puerto del Carmen. 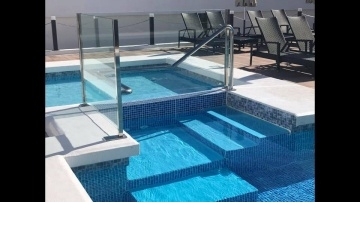 It is a friendly resort of just 25 properties, ideal for those seeking a peaceful, relaxing holiday. 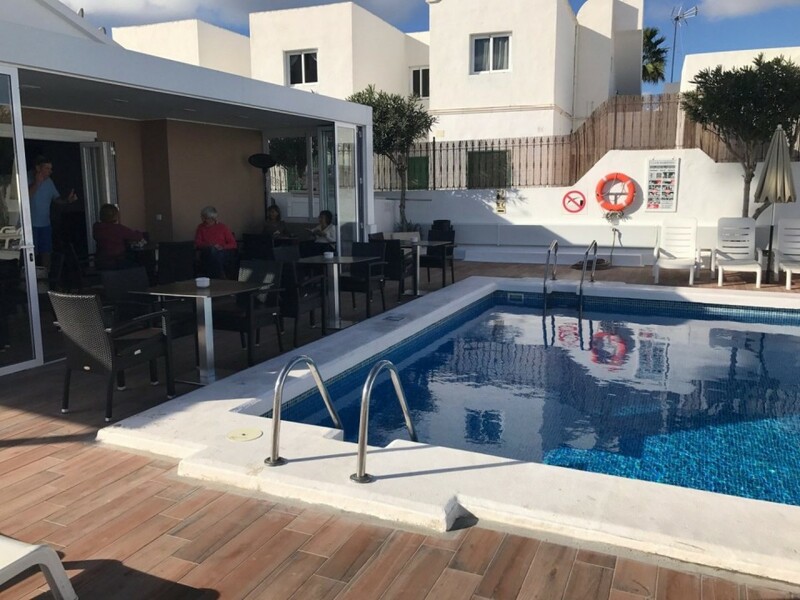 There is a heated swimming pool with a section for children, bar and snack bar on site, and a good range of entertainment and sports facilities can be found close by. 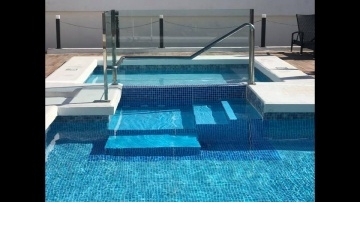 The pool is lovely clean and warm and the grounds are well maintained. 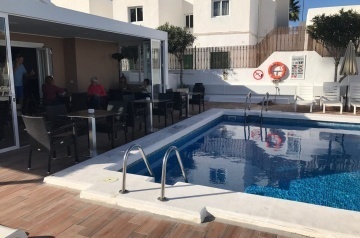 Many of our guests come back year after year because the apartments give the best of both worlds, sea front bars and clubs for some and peace and quiet for others. 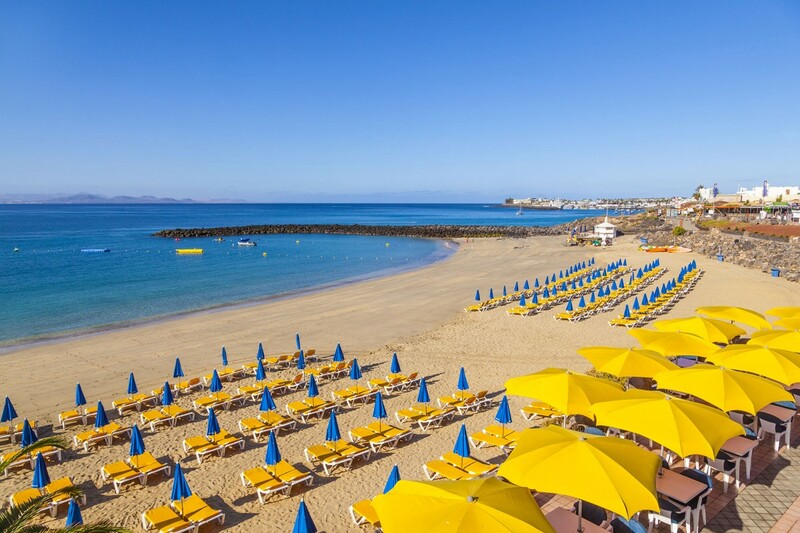 Just a short walk away you can find small beach coves where you can enjoy the sun, sea and sand without fighting for space. 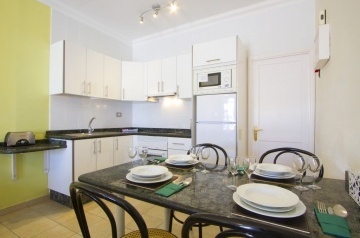 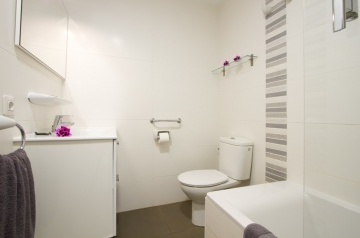 Our apartments are well equipped with an open plan interior. In the main living area, you will find a comfortable sofa bed that sleeps two very well and a 27 inch LCD television with a choice of various English-speaking channels. 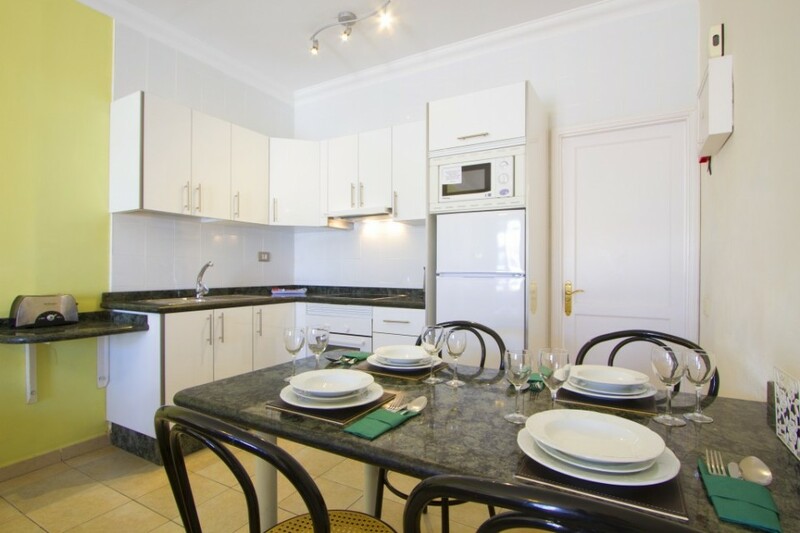 The kitchen has four hob rings, over, microwave, fridge/freezer, kettle, toaster, juicer, coffer maker and all your pots, pans and cooking utensils. The apartments have a safe and ceiling fan in the bedroom/s and living area and outdoor space with a table and chairs.